Researchers used Neurolucida to reconstruct a newly discovered type of neuron found only in the human brain, according to a study published in the journal Nature Neuroscience. 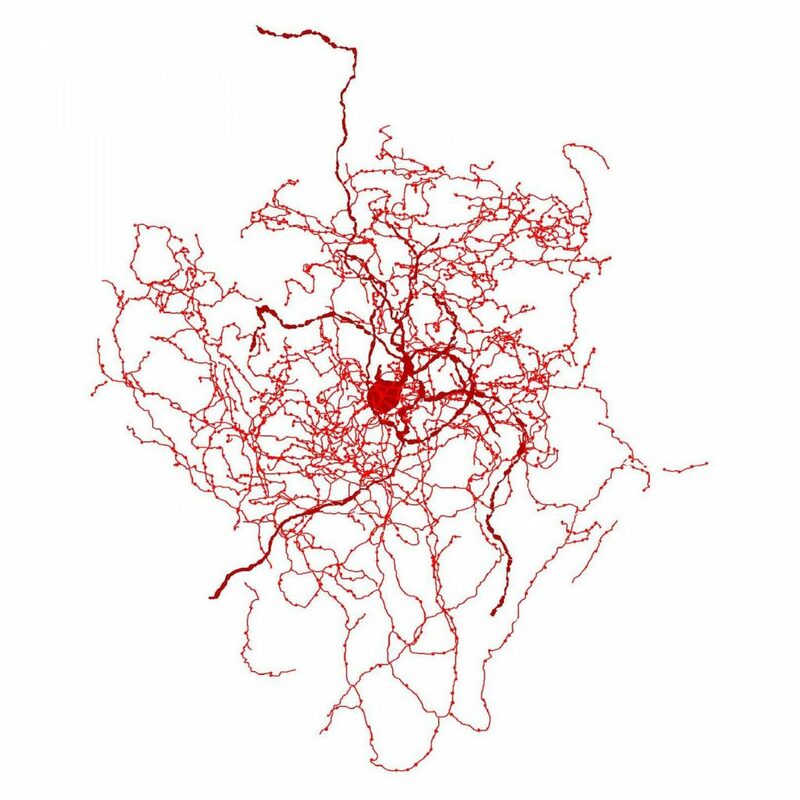 Known as “rosehip” neurons because of the way they resemble a rose after its petals have fallen off, these cells feature compact, bushy axonal arborizations. Found in the first layer of the cerebral cortex, a highly complex brain region that is thought to play an important role in consciousness, “rosehip neurons” have not been seen in mice or other laboratory animals, and scientists suggest that they may exist only in humans. Classified as inhibitory neurons, these brain cells form synapses with pyramidal neurons in layer 3 of the cerebral cortex, according to the study. Led by Dr. Ed Lein, of the Allen Institute for Brain Science, and Dr. Gábor Tamás, a neuroscientist at the University of Szeged in Szeged, Hungary, the research team used Neurolucida to reconstruct rosehip neurons in 3D. Their reconstructions revealed that these cells display morphological characteristics that differ significantly from other types of cells found in this region of the brain. Using Neurolucida Explorer to quantitatively analyze their cell reconstructions, the researchers observed similar numbers of primary dendrites in both rosehip neurons and basket cells, but fewer compared to neurogliaform cells. Meanwhile, they calculated similar total dendritic length and frequency of dendritic nodes in rosehip neurons and neurogliaform cells, but recorded differences in basket cells. Also, their analysis revealed that the axonal branching of rosehip neurons was more robust than any other type of cell observed in this brain region, with the volume of axonal terminations, or boutons, measuring four times larger than NGFC boutons. Furthermore, the researchers say that the rosehip neuron has a molecular marker signature of (GAD1+CCK+, CNR1–SST–CALB2–PVALB–), a signature not seen in the mouse cortex. According to the paper, the researchers still have much to learn about the function of rosehip neurons in the human brain. Because they observed rosehip neurons connecting to their partner neurons – pyramidal neurons, in very specific places, they hypothesize that rosehip neurons might be controlling the flow of information in a distinctive way. One next step will be to see if postmortem brains from patients with neuropsychiatric disorders display rosehip neurons with alterations, to begin investigating whether or not these newly discovered cells play a role in mental illness. Posted in Customer News, Software and tagged Neurolucida, neurolucida explorer, neuron, neuron analysis, neuron tracing, rosehip.